The Sound BlasterX Katana by Creative is a gaming soundbar that’s designed specifically to go underneath your desktop monitor. The sleek Katana has a minimalist and slimness design, packaged within an anodized gray brushed metal-finish casing. Like other soundbars, it combines what would typically be three speakers into one unit, and is powered and enhanced by Creative´s award-winning multi-core audio DSP making it the world’s first true Under Monitor Audio System (it can also be used as an enhancement for TV audio). 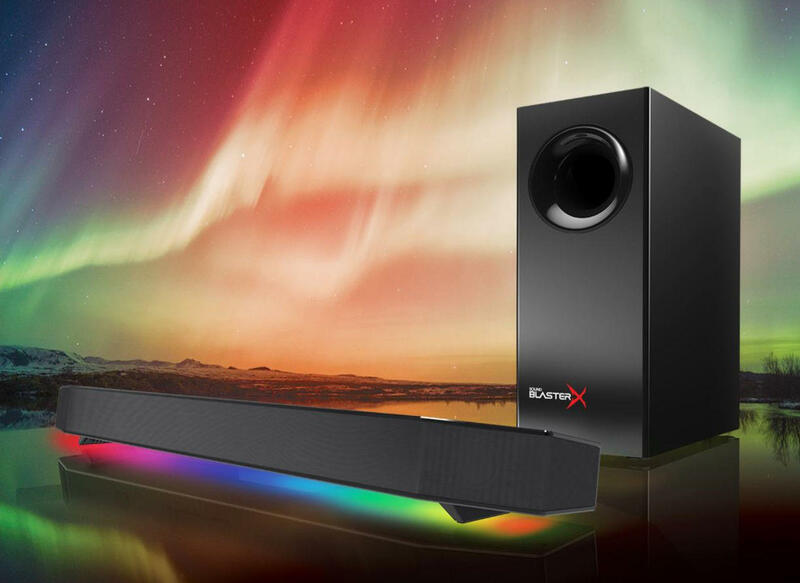 It also features Creative’s programmable Aurora RGB LED lighting (the first gaming and entertainment sound system to have such a feature) that elevates your gaming and movie experience. Named after the sword so technologically perfect in structure and so demanding in its creation, the Sound BlasterX Katana exhibits the same sleek sophistication and formidable strength in its design and audio prowess. In a league of its own, the Katana fits right under your monitor with a slimness that’s unmatched by other so-called gaming sound bars. If you liked this article, then be sure to check this one: The Fields & Forests Men’s Grooming Set.